There are many reasons that Tenerife has long remained a firm favourite with holiday-makers, but contrary to popular belief there is much more to this island than an sumptuous concoction of sun, sea and poolside cocktails. Saija Kokkonen examines just why Tenerife is ideal for a luxury getaway. While tourists tend to flock to Tenerife during the summer months, the year-round sunshine means that there is never a bad time to take in this destination's varied delights. The Spanish island boasts a diverse, rugged landscape decorated with beaches, small fishing villages and natural pools – the perfect spot to cool off after a day of exploring. Foodies can't fail to be impressed as the gastronomic scene largely consists of mouth-watering Spanish offerings, whilst the seafood is second-to-none. Alongside superlative vineyards, there's also some of the world's finest stargazing. 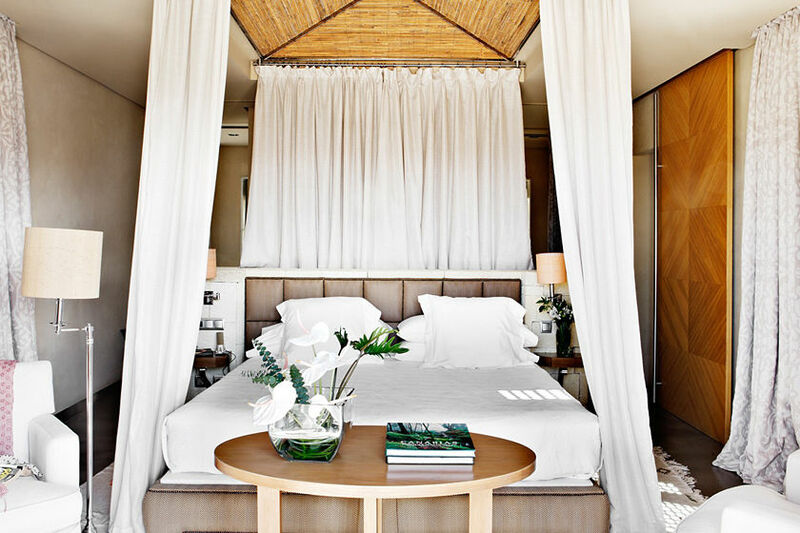 However, for a luxury holiday, it's often the accommodation that's the most important factor. So, on my recent visit I did a bit of hotel hopping to filter out the best from the rest. 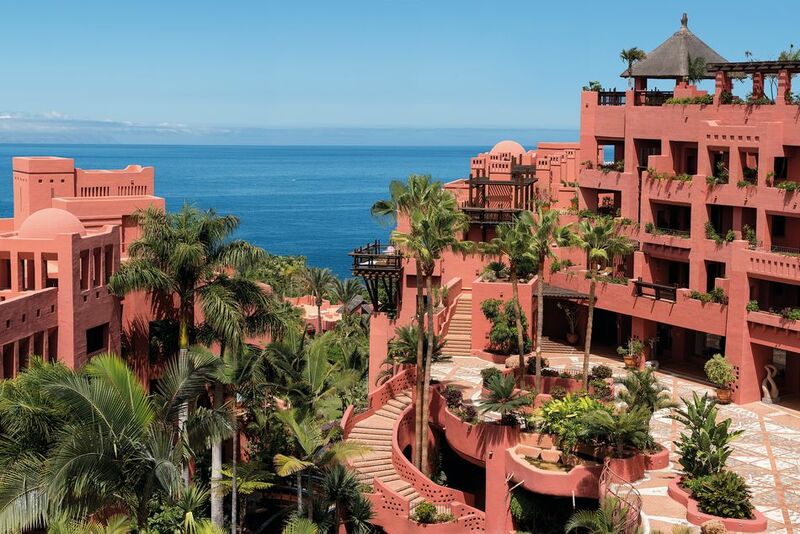 The first stop of my visit is The Ritz-Carlton Abama in the south of the island; a regal, terracotta affair that really is as impressive as the photos. The hotel and its luscious, green gardens are home to seven swimming pools and two Michelin-starred restaurants as well as a fitness centre an award-winning luxury spa. After a morning strolling through the verdant grounds and sunning myself on Playa Abama, the resort's very own idyllic sandy beach, I headed to The Beach Club restaurant and cooled down with an ice-cold glass of local wine, which made for the perfect pairing with the restaurant's fresh catch of the day. After a truly delicious meal, I hopped in the cable car and was transported back up to the hotel whilst enjoying a breath-taking vista of the coast line. And, if you're after a real taste of luxury, the adults-only Tagor villas offer a secluded paradise. Here, your personal villa attendant will make sure that you have everything you could possibly need for ultimate relaxation. Next stop on my tour of the island was Bahía Del Duque. If it’s ultimate luxury that you’re seeking then look no further than this gem – one of the Leading Hotels of the World. The hotel’s turreted colonial buildings are surrounded by six hectares of subtropical gardens, making the Bahía Del Duque the destination for those seeking a truly paradisiacal experience. The hotel offers a range of accommodation styles – my favourite being The Villas which could trick you into thinking you were on your very own tropical island. After a day of lounging by the pool, why not book an evening excursion to Mt. 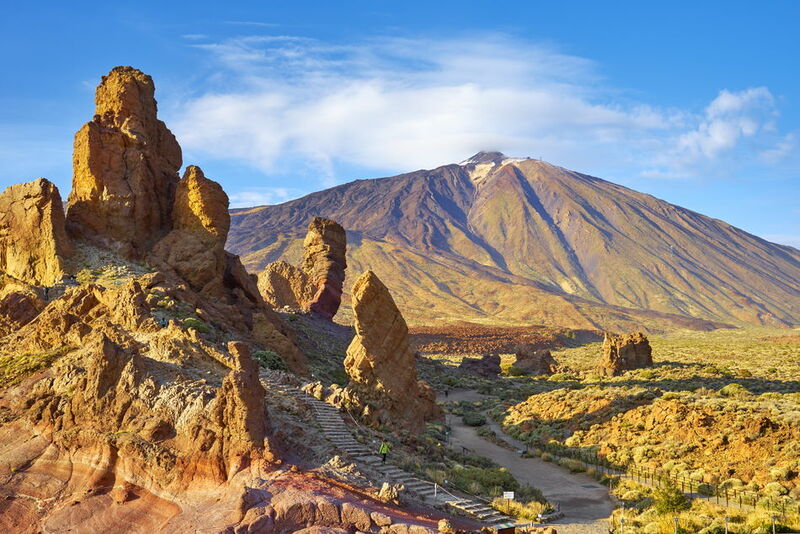 Teide, the highest point above sea level in the islands of the Atlantic. It's the perfect spot to watch the sunset whilst sipping on a hot chocolate, and visitors can top off the experience by dining out under the stars – an unforgettable experience. Teide is one of the best star-gazing spots in the world and it’s safe to say that I was not disappointed with the astral display. 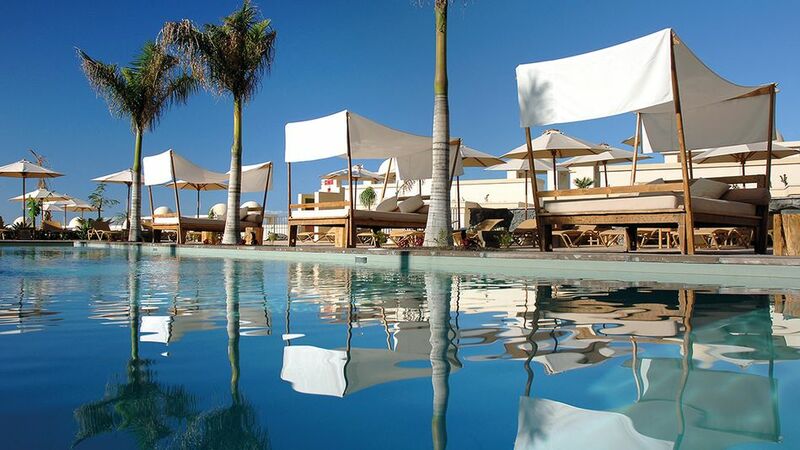 The last hotel on my tour was the Vincci Selección La Plantación del Sur, an elegant, Andalusian-style resort that neighbours the Bahía del Duque. The hotel, which is set on a hillside, boasts panoramic views across the coast as well as the island's impressive mountain range. The spa facilities are second-to-none, with sixteen private treatment rooms and a tranquil, candle-lit cave where you can enjoy a sauna followed by a dip in an ice pool. My last recommendation brings us to the only five-star property on the island's quieter northern side. 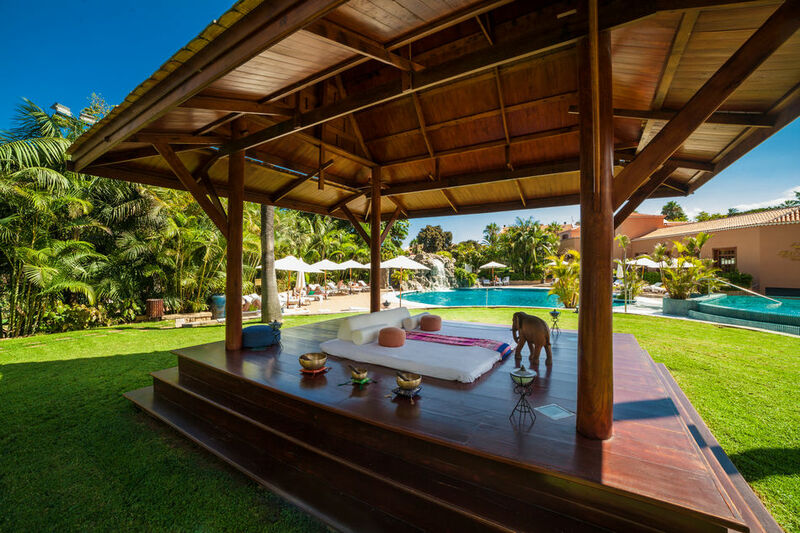 Indeed, the Hotel Botanico is a delightfully secluded option, not least for its acres of grand, subtropical gardens that were first commissioned by King Carlos II back in the 18th century. However, you'll still have all of Tenerife's delights on your doorstep, with a complimentary shuttle bringing you to an idyllic black-sand beach and quaint old town. Then, back at base, the marble-accented rooms are paired with one of the best spas in Europe and no fewer than five restaurants, serving up everything from show-kitchen pasta to ultra-fresh seafood. If you're considering a Tenerife holiday, get in touch today and we'll be ready to provide first-hand experience and help start planning your trip.